It is never too early to start planning for Christmas. As crafty people, we all know that it is important to get ahead of the Christmas crafting game. If you have a large group of family or friends to craft for starting a few months ahead is essential to your sanity. Poinsettias are the flower of the Christmas season. The reds and pinks on these plants are a welcome splash of color during a grey season. Carrie of Free Patterns Online shares her take on this festive fauna with a free Poinsettia pattern. This project would look great on Christmas cards or make several in different colors and frame them for holiday decor. It makes a great gift for those who lack a green thumb. Kreinik offers several holiday-themed patterns for free on their website. This Santa Claus makes a perfect ornament for a tree or as a topper for treats in a mason jar. Add rickrack around the edges for an added touch. Carol's Cross Stitch celebrates the season with a simple, yet timeless Plaid design. This classic Christmas tree is a great make and take for a beginners cross stitch group. 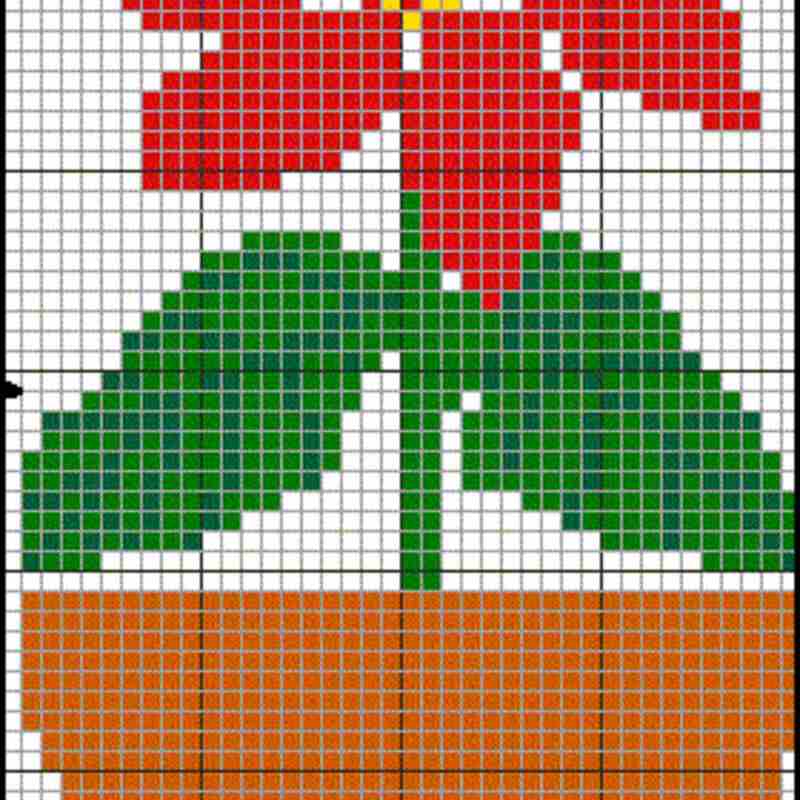 You can also make the pattern bigger and stitch it on plastic canvas for a 3-D Christmas tree to put up in an office or small living area. It would make great wrapping or tags for the season. You can change up the plaid to match your decor. Marilyn Leavitt-Imblum's Christmas Angel designs are an annual gift for her fans. What a wonderful pattern for the spiritual leaders and people in our lives. These angels go back many years and stop at 2005. Why not print them all out and stitch one up a year. This pattern is a wonderful way to start a tradition and create an heirloom for the family. The holiday season is a great time to celebrate with family and friends. Homespun humor from your favorite uncle to homemade pies from your favorite aunt; Christmas brings us together. Designer Gal Bussi and Free Patterns share their Home for the Holidays pattern that reminds us of a simpler time. This project would be a welcome addition hanging in the middle of a wreath for the front door or framed and set on a mantle. If you are extra ambitious, you could make several for holiday greeting cards. Nordic Sweaters have made a comeback in recent years. Many designers have added fresh new styles and images to the timeless pattern. Les Chroniques de FriMousse's pattern can be used, not only at Christmas time but all year round by just changing the colors of the pattern. You can make an ornament for a tree, embellish a sweater or sew a sachet. Make several to have on hand for coworkers, friends, and last minute gift ideas. Who is that jolly man in the red suit? Gazette94 celebrates this happy elf with their pattern of various Santas. You can create several ornaments or stitch them together for a sampler. This project showcases international versions of Papa Noel. Who wouldn't love to be lost in this beautiful Christmas Village by Chez ​Mounette. The snowy rooftops and inviting shops beckon us to jump into the pattern and enjoy the season. This project would look great framed and placed on a mantle as the focal point for a winter wonderland village decor.